This service in song is a contemplation of the hope we find in Christ. Incorporating new original anthems and fresh treatments of time-honored hymns and traditional sacred songs, this work reflects upon the ministry and passion of Christ's last days. 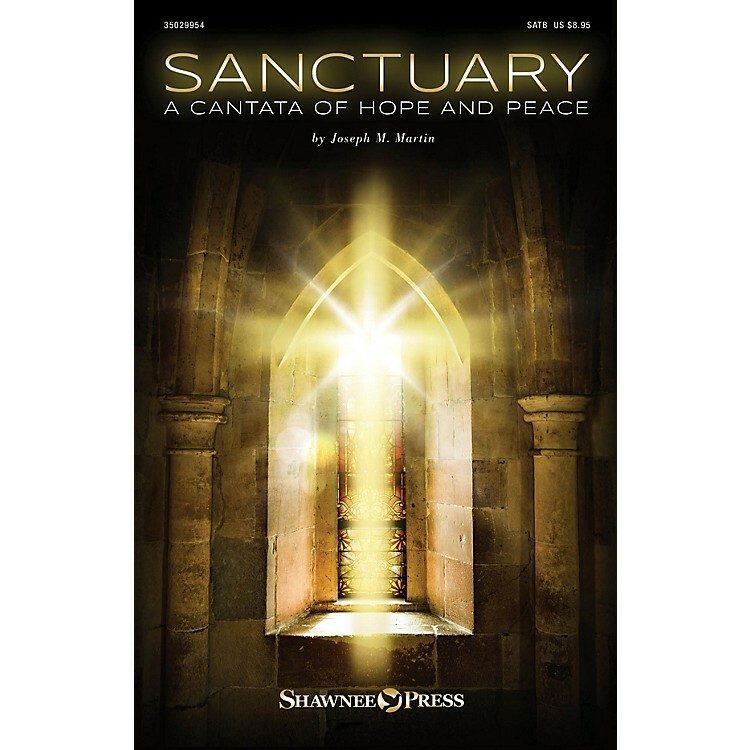 The narration includes scriptures of assurance and words of comfort and peace. The music is written in an expressive melodic style, bringing a gentle beauty that will touch all who experience it. Supported by two orchestration choices and other helpful companion products, this 40 minute work is ideal for Lenten or Holy Week worship gatherings. Consider this musical journey of faith and discover a place of refuge in God's unfailing love and His sanctuary of grace. Moving! Songs include: Prelude of Peace; Sanctuary of Grace; Shelter of Hope; Hosanna! A Procession of Promise; In the Shadow of Your Wing; Give to the Winds Your Fears; Flee as a Bird; Sanctuary of the Soul; Postlude of Peace.